Like any of you, I’m not a fan of pain. But last night, if I was going to move forward - and eventually get back to bed – I knew I was going to endure some discomfort. The first thing is easy. 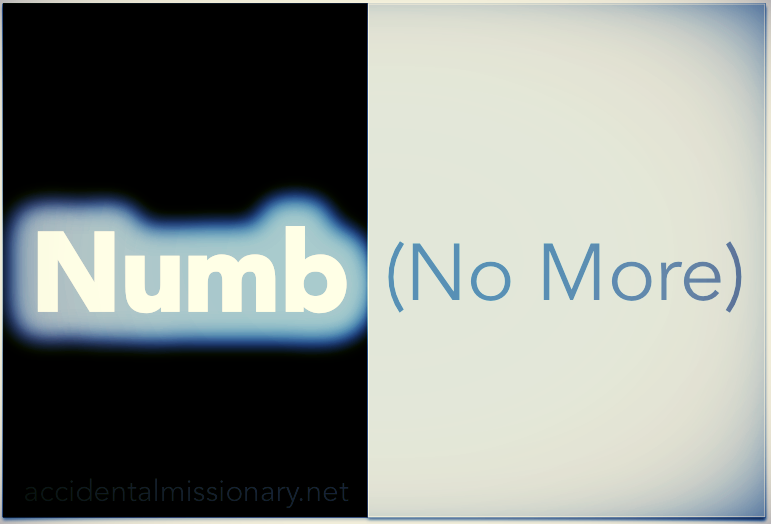 Refuse to stay numb. If you are one of those who agree with the stats above, then copy and paste them into an email and implore your representatives to draft and pass common sense gun legislation that protects the rights of responsible gun owners AND makes us all safer. It’ll take you five minutes. Because when I do this – when WE do this - we become the problem we are trying to solve. The truth is, dehumanization is at the heart of every violent act that floods our newsfeeds. Shootings, Sexual assaults. Racial injustice. The only way our reptilian brains can justify the mistreatment of another person in this way is to see them as something less than human. And when we start to see one another as predator and prey, we feed this beast of conflict and division.